The company’s metals were leased and worked by the LC&DR from the outset, and the latter subsequently absorbed the smaller concern in 1871. 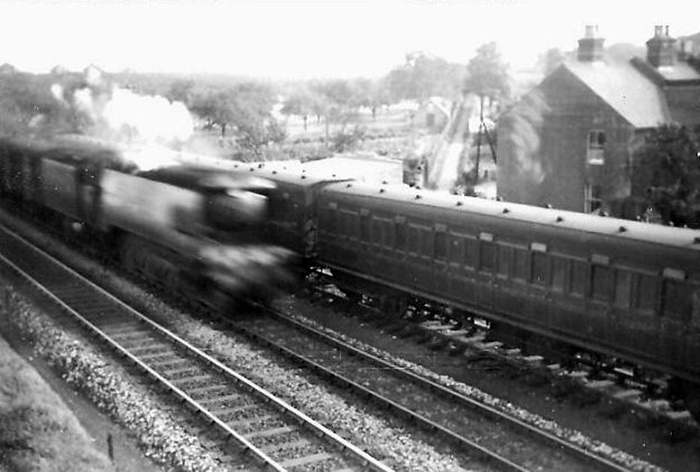 The layout of the first station at Faversham was readily comparable with that which is still in existence at Sittingbourne – in fact, the pair were mirror images of each other. Both sites incorporated an island platform: whilst that at Sittingbourne was built on the ‘’down’’ side, that at Faversham was instead positioned beside the ‘’up’’ running line. The substantial station building at the latter was located on the ‘’down’’ platform, and was built to the same design as that at Sittingbourne (albeit in a mirror-image fashion), being two-storeys high and constituted of yellow brick. 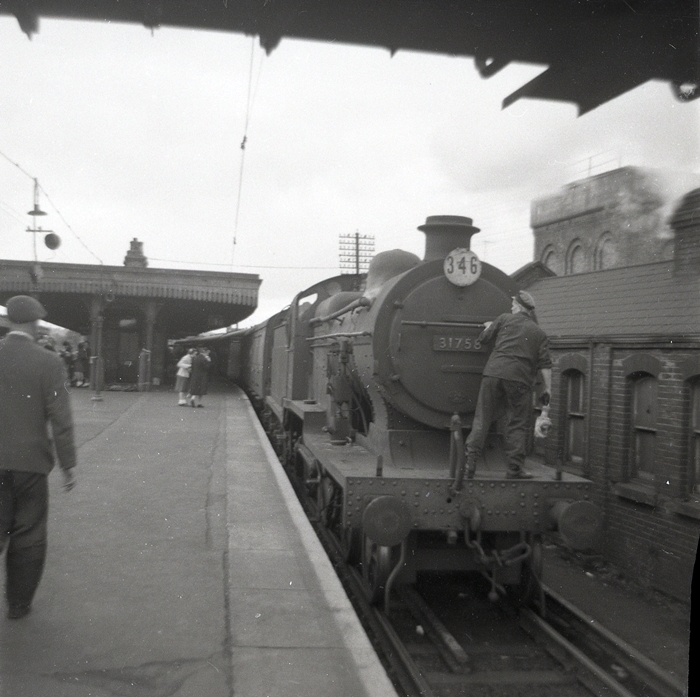 Finally, an eastward-facing ‘’down’’ side bay platform was in existence at Faversham, and this appears to date from the opening of the Whitstable extension. Whilst Sittingbourne enjoyed the benefits of a large, triangular-shaped overall roof, Faversham had to make do with a rather meagre, short pitched-roof canopy on the island platform. The main station building here was also only equipped with a small flat-roofed canopy, this being integrated within the structure in the same fashion as the canopy at Shepherds Well. Being a terminus affair in 1858, Faversham was host to an engine shed. This was a two-road dead-end affair positioned to the west of the station, beside the ‘’up’’ line. Goods sidings were also in evidence here, a trio of eastward-facing tracks residing alongside the bay line. The layout was signalled by outside contractor Saxby & Farmer, and one of this company’s attractive cabins appeared to the west of the ‘’down’’ platform, alongside a level crossing. The signal box lacked a brick base: it was a single-storey all-timber affair, with a pyramid-shaped roof. Also worth noting at this point is the Faversham Creek branch; this single-track opened in 1860, with the Whitstable extension. The line connected with the ‘’down’’ sidings alongside the bay platform, and it appears that the track could only be accessed after a reversing manoeuvre. The route assumed a sharp turn northwards, thus the branch was soon at a right angle to the running lines. 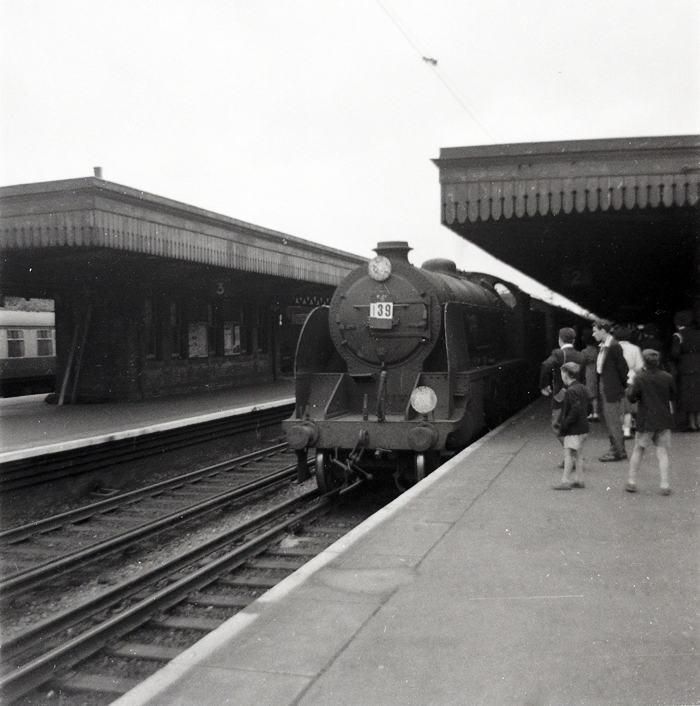 Change had started to occur at the site in the earliest years: in 1860, in connection with the opening of the single-track Whitstable line (doubled on 5th October 1863), a replacement engine shed was commissioned. This was a westward-facing, two-track, dead-end affair, of just over 200 feet in length, and was positioned within the V-shape created by the diverging lines. Complete upheaval of the site was to occur thirty-seven years later. In the latter years of its existence, the LC&DR began to reconstruct a number of earlier station builds as more modern, spacious affairs. This appears to have begun at Chatham, in 1886, with the erection of an attractive ‘’high-level’’ station building straddling the tracks – such a design permitted more platforms to be inserted at track level. Bickley and Bromley were rebuilt in a similar fashion during 1893/1894, and in October 1897, a complete rebuild of Faversham commenced. This eventually produced a large, well laid-out arrangement comprising a pair of 710-foot long island platforms upon the site of the original station. For crews needing to refill their engines with water for the onward journey, water columns existed at the western and eastern ends of the ‘’up’’ and ‘’down’’ islands respectively. Upon the platforms were single-storey crème brick waiting rooms and offices, complete with arched orange-lined window frames, and these in turn were protected by a pair of ornate flat-roofed canopies, measuring some 395-feet in length. The platform buildings were to the same design as those structures which emerged at the contemporary Bickley and Bromley rebuilds, and were arranged in blocks of three on each platform. Substantial station entrances were built on both ‘’up’’ and ‘’down’’ sides of the site, although notably, that on the latter was the largest. The nature of the island arrangement here ensured that these buildings were isolated from the platforms, a subway linking all areas of the station. Indeed, they were not even centrally-located, but rather, positioned in line with the western ends of the platform surfaces. The ‘’up’’ building was a single-storey rectangular structure, built to the same design outline as those ‘’high-level’’ buildings at Chatham and Bromley, and measured 50-foot across by 30-foot deep. Emanating from its eastern elevation was the roof of the subway entrance, this measuring some 120-feet in length and featuring crème brick side walls, complete with roof glazing. The main section of the ‘’down’’ side station building demonstrated increased dimensions over its ‘’up’’ side counterpart, being 58 foot in length by 42 feet in depth. Attached to its western elevation was a 35-foot-long appendix, again of crème brick construction, with a pitched-roof. The subway entrance roof here, also extending from this building’s eastern elevation, was marginally longer than that of its ‘’up’’ side counterpart, extending for 125-feet. Finally, straddling the tracks at the eastern ends of the platforms was a public footbridge, of lattice construction and measuring 135-feet in length. was still in evidence in the berthing sidings and of course, third rail was absent.